After reading Christine Trent’s The Queen’s Dollmaker, I was eager to read her second book, A Royal Likeness, whose main character, Marguerite, was first introduced in The Queen’s Dollmaker. Marguerite now owns Claudette’s doll shop (Claudette was the main character in the first book), but when tragedy strikes she leaves the shop and London. Then, through Claudette’s connections, she receives the opportunity to work as Madame Tussaud’s apprentice. She learns the trade of making life-size wax models of famous people and helps Madame Tussaud with her exhibitions in London, Edinburgh and Dublin. Later, because of her skill, she gets involved with the British government and the Battle of Trafalgar. Many real historical figures play characters in this fictitious tale, and I really liked this aspect of the book. Madame Tussaud and Captain Nelson were the most interesting. The first half of the book is concentrated on Marguerite’s work with Mme Tussaud. Although some readers may find the details of waxwork a little tedious, I enjoyed it and thought it quite fascinating. Marguerite’s character, on the other hand, took a while for me to like. Let me explain. Right from the onset of the story, I thought she could have better discerned the situation that led to tragedy. After they break her shop window, Marguerite flings open the door and brashly demands “a group of about twenty men, mostly drunk and on the brink of irrationality” who are carrying clubs and pitchforks what they wanted with her and her shop. Didn’t she sense the danger? She should have closed the door and gone to get her husband. Secondly, she once again acted foolishly when it came to Mr. Philipsthal. Although he was connected to Mme Tussaud financially, I did not think he needed to play such a big role in the first half of the book. He was not needed to advance the plot and could easily have played a minor character or none at all. As a matter of fact, his role really slowed down the story and only served to show how addle-brained (I’m using Marquerite’s own words about herself) she could be. 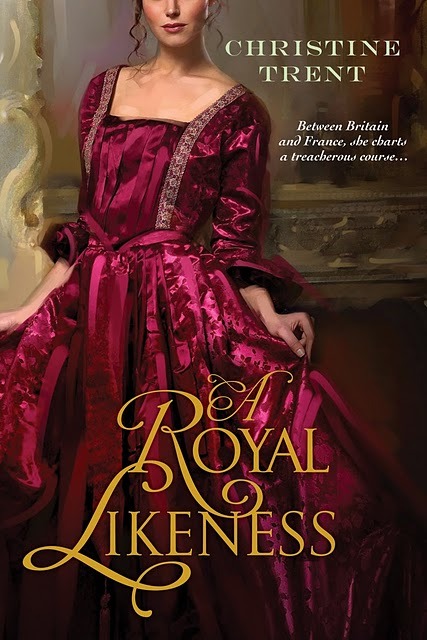 Now, the second half of the book with the battle of Trafalgar, the political intrigue, and the romance was what really propelled the story forward and redeemed Marguerite in my eyes. I admired her courage and the way she looked past her dire situation and made herself useful by helping the doctor with the injured men during the war despite the horrors she witnessed. Some readers may find some of these scenes gruesome but when it comes to medical situations it doesn’t bother me. The story moved quickly after this, making me eager to know how it would all come to an end. If you are a fan of historical fiction who particularly likes a heroine who is a spirited and independent tradeswoman rather than an aristocrat, you will enjoy this book. The beginning may be slow, but stick with it and you will not be disappointed. I won this and found this a beautiful story. I love when real life figures are incoporated into works of fiction. Nice review! Great review! I will definitely be adding this one to my shelves!